This post is written in response to the request of a friend who would like to know how to break bad news such as death to a child. What is the most appropriate manner to tell our kids? 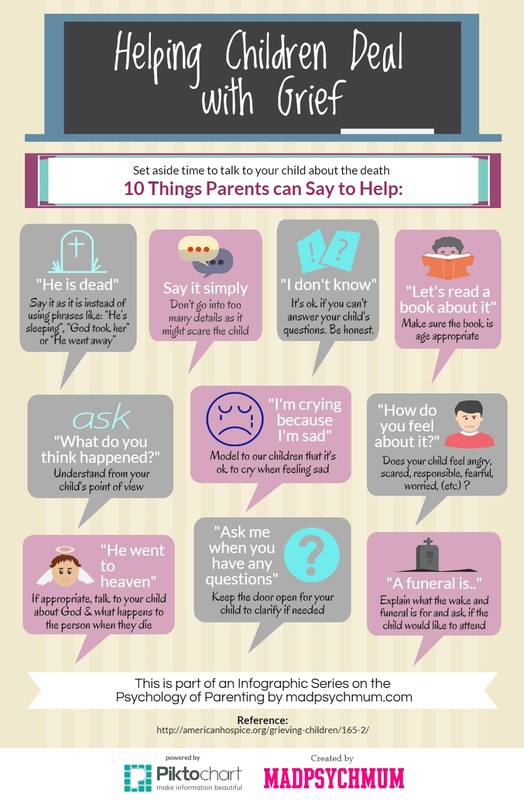 Here're 10 things that you can say to your child to help them understand. Fellow SMB Angeline has also written a nice article on this topic with examples. Do note that very young children are concrete, meaning that they cannot understand concepts that they can't see such as philosophy, heaven and death. A general rule of thumb is, the younger the child, the more concrete they are so be sure to use age-appropriate words when explaining abstract concepts.